a fantastic artist SteveO!, thanks. 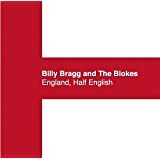 BILLY BRAGG & THE BLOKES "England, half English"
should be called "album, half filler"
as expected, Lennon's tracks are good, Yoko's are bloody plain aweful! RETURN TO FOREVER - Where Have I Known You Before? ........................jazz fusion super group! 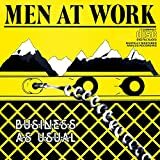 MEN AT WORK "business as usual"
their debut set and IMO, the only one of their studio albums really worth getting.